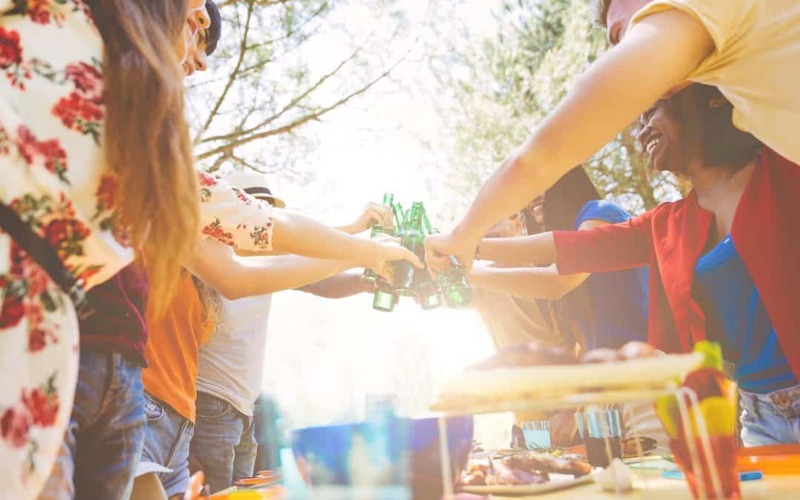 8 Household Uses for Beer | Awnings And More Inc.
Calgarians love them some beer. On a hot summer day, a cold beer can be so refreshing. (Also on a cold winter night.) But, did you know there is so much more you can do with beer around your house? Let’s take a look at eight things you can do around the house with beer. Beer may put you down for the count, but it has the opposite effect on wood, reviving it to its former colour and giving it a deep shine. Simply save up some beer dregs and once they’re flat, dip a rag in them, wring it out and wipe down your wooden furniture with the flat beer dampened cloth. We know that you can repel slugs and snails with salt, but if you want to catch them instead, you can use beer. Pour some beer into a container and leave it outside in a slug-ridden area and the slimy little sliders will be attracted to the sweet smell. You can use a similar trap for mice using a deep container with a little bit of beer at the bottom and a ramp so the mice can get up to the top of it. They’ll go to get a drink, but won’t be able to get back out. The fermented sugars in beer help brown grass regain its strength and colour. It can also neutralize the nitrogen in pet urine and kills fungi. Just pour a generous amount of beer over brown spots on your lawn and watch them spring back to life. Because of its carbonated properties, beer can also be a handy cleaning product, which can help you with those ugly tea and coffee stains on your carpet. Simply pour some fresh beer onto the stain and lightly massage it in. Blot to remove the stain and repeat as many times as you need to. Another handy use beer’s carbonation allows for is the removal of rust from nuts and bolts. If you have a rusty bolt you can’t budge, pour some beer over it, wait for 15 seconds and then wipe it clean. Unlike slugs and snails, there are some creatures that you want to see in your garden. Butterflies are among those. Unsurprisingly, butterflies love sweetness and that includes beer. Here is a recipe that sounds awful to us, but is heavenly for butterflies. Mix this up and wipe it on trees, rocks and fence posts in your yard to entice the beautiful bugs into your garden. There’s that carbonation coming in handy again. Beer can be used to clean anything copper, from old coins to frying pans. Get amazing results on your copper with a bit of fresh beer. Leave the copper to soak for a few minutes and buff it with a soft cloth and you’ll have shiny copper. Last and best of all, you can refresh yourself with a nice, cold beer in your backyard. You know what makes a cold beer even better? Some shade. Call us at 587-317-6933 or contact us and we would love to provide you with some shade to go with your beer.